Much of the world has neglected the discussion surrounding leprosy since the success of multi-drug therapy treatments in the 1980s, according to Arturo Cunanan, a doctor specializing in leprosy. His TRU International Days talk was meant to re-ignite global discussions about the disease. Cunanan, also a consultant for the World Health Organization (WHO) in South-Pacific Asia, sourced data from the WHO which shows that globally, new cases of leprosy have remained static for the past 10 years. Cunanan said he believes the numbers will remain the same throughout the next decade. He said that due to eradication in most first world countries, interest, research and funding for the disease has declined. He hopes to preserve not only the history of leprosy but also the continued research into the disease. Cunanan called it the world’s most stigmatizing disease and that the Bible influenced false perceptions about it being sinful. The debilitating disfigurements caused by leprosy only increase the stigma. Cunanan called it a social and economic disease, rather than a public health concern. After the second leprosy conference was held in Bergen, Norway in 1909, involuntary isolation and separation of parents and children was recommended and became the norm in many countries. Cunanan said isolation was readily accepted because Norway had notable decline in the spread of the disease. Many countries ceased isolation in the 1960s. Japan continued isolation until the 1990s. Cunanan said there are still many false perceptions and misunderstandings about leprosy, globally. Cunanan explained that it is a mildly communicable disease and is spread through the respiratory system, from repeated contact with infected persons. The disease has an average incubation period of three to five years and is a curable disease with a high prognosis if it is detected early, and a low mortality rate. Leprosy can be detected early by skin sores or lumps. Unfortunately due to the stigmatization of leprosy, most people do not seek treatment until disfigurement has begun. By that time, the disabling disfigurement cannot be undone. Many factors will influence the spread of leprosy from person to person, including the strength of the immune system, duration and proximity to infected persons and the amount of bacteria within a host. Cunanan said there are still unanswered question about possible genetic factors of susceptibility. He added that humans are naturally immune to the disease and approximately five to 10 per cent of those exposed are infected. Since the discovery of the biological makeup of leprosy in 1897, scientists have not been able to grow the disease in a laboratory without a human hosts, Cunanan said. Leprosy is also carried by armadillos, found throughout parts of South America. There is no vaccine against leprosy, something Cunanan hopes more researchers will become interested in. Since leprosy and tuberculosis share a similar biological makeup, there has been some research into whether the vaccine for tuberculosis could lead to a vaccine for leprosy. 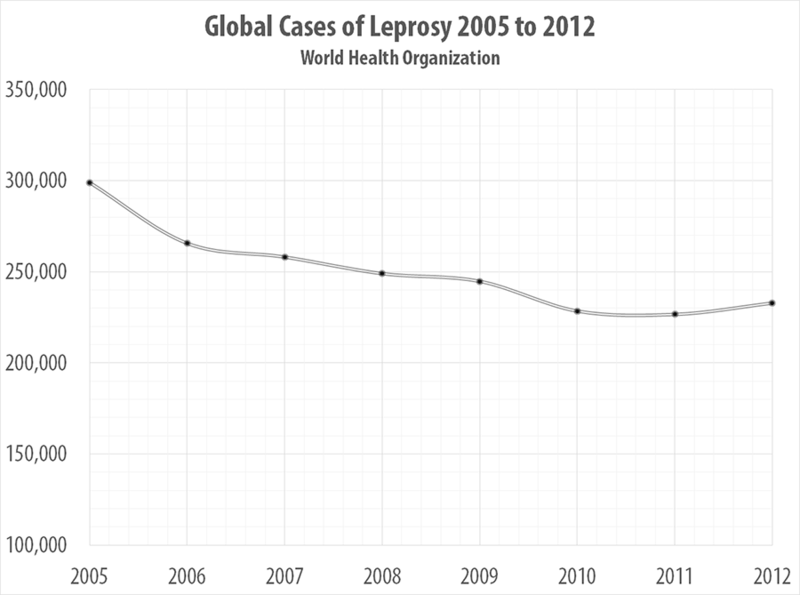 Multi-drug therapies have led to some drug resistant leprosy. Eradication of the disease altogether would require the eradication of human and animal hosts. Cunanan said there is still a lot that is unknown about leprosy. He hopes to influence research partnerships, build more experts in the field by increasing interest and shift the emphasis to prevention instead of treatment of leprosy.